Wainwright Bros & Co Ltd provide a range of ship and port agency services specifically tailored to shipowners and charterers' requirements. Whether vessels operate on tramp or liner trades, our extensive local knowledge and experience will ensure a safe port call with the minimum of delays. We pride ourselves on the high level of service that we have continually provided to clients since 1889. Throughout our history our mission statement has been to provide a solid, reliable, and independent service to shipowners and clients at all times. Through a national network of owned offices and colleague agents, we continue to offer a modern, forward-thinking approach firmly based on the traditional values with which our company was founded. With our office centrally situated in the port of Southampton, our coverage of associated agencies, and our close connections with the London area, we are ideally situated to represent client’s maritime needs throughout the United Kingdom. 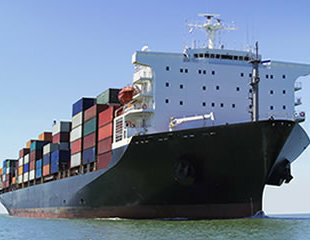 Other services include automobile shipping and Superyacht Agency services. Wainwright Bros & Co Ltd.
RSS James Cook photograph by kind permission of National Marine Facilities Sea Systems & National Oceanography Centre, Southampton.